Take advantage of this complete grilling package. 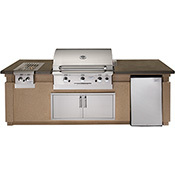 No reason to hire a contractor when American Outdoor Grill's new 24" and 36" island packages allow you to take delivery and dine on the same day. 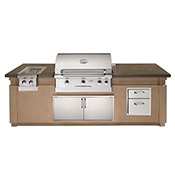 With AOG grills, side burner, access door and drawer on the 36" model, you can have the look of a custom outdoor kitchen at a fraction of the cost.